On Monday, the Pittsburgh Pirates defeated the Minnesota Twins 5-4 to remain undefeated through four games of the 2018 season. 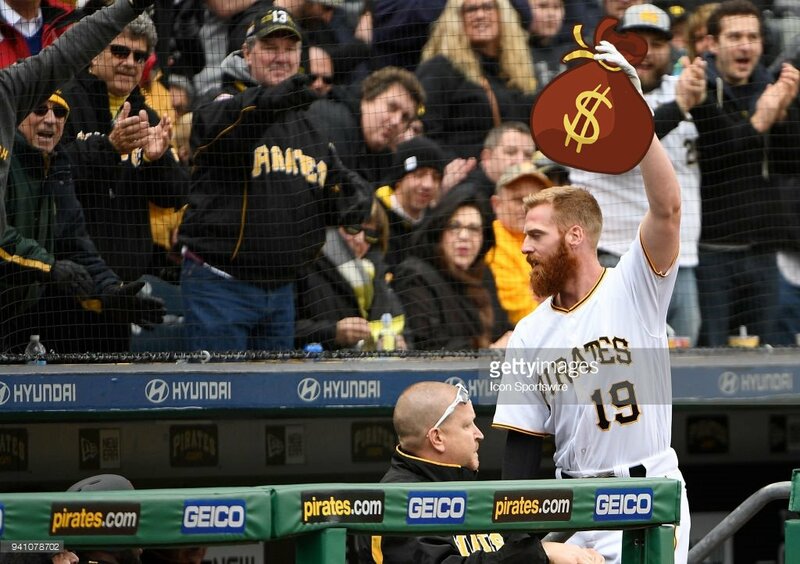 The Pirates scored all five runs in the first inning with four courtesy of a grand slam by one of the newest Pirates, Colin Moran. Fun stat: Colin Moran is only the third Pirates player to hit a Grand Slam in a home opener. The others are Hall of Famers Ralph Kiner and Roberto Clemente. That's some good company. 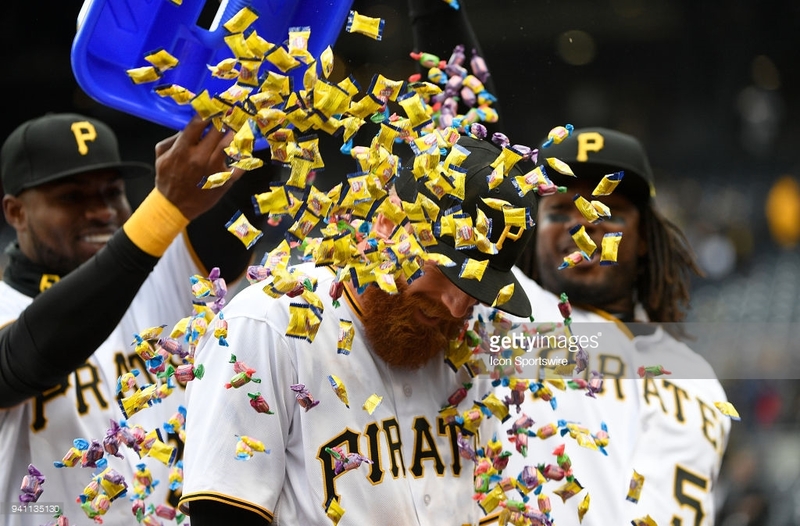 Wouldn't the post-game celebration for Moran be more fun with coins or at least chocolate gelt? I hope this nickname sticks! Photoshop courtesy of Doug Vogel.